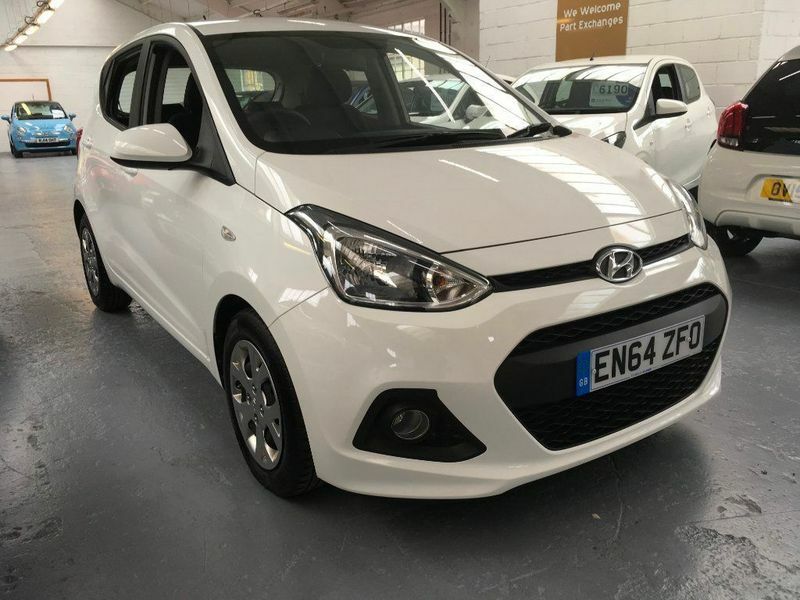 ANOTHER LOW MILEAGE HYUNDAI i10 OFFERED FOR SALE BY THE SMALL CAR COMPANY. THIS LOVELY EXAMPLE COMES WITH A TOTAL HYUNDAI MAIN AGENT SERVICE HISTORY FROM NEW(3 STAMPS). IT ALSO BENEFITS FROM THE BALANCE OF THE MANUFACTURER WARRANTY UNTIL JANUARY 2020. JUST £30 ROAD TAX. CALL FOR A TEST DRIVE. 3 months warranty, 12 months MOT, Full dealership history, Excellent bodywork, Black Cloth interior - Excellent Condition, Tyre condition Good, White, ALL CARS SUPPLIED WITH OUR 12 MONTH MOT AND SERVICE PACKAGE.